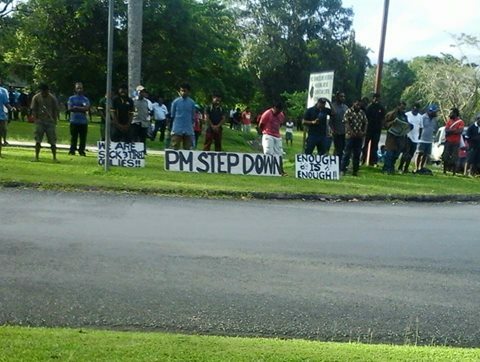 More than 2-thousand students of the University of Technology in Lae, have voted in favor of boycotting their classes in protest for Prime Minister Peter O'Neill to step down from office and face allegations of corruption. 2059 students voted in favor of the action in a referendum that was conducted by the Electoral Commission, at its Taraka Campus on Friday. Only 296 students voted against the boycott. Reports from Lae, say the University is currently observing the boycotting of class action. Unitech Vice Chancellor, Doctor Albert Schram, says the university does not have a position on the issues taking place on the national level, but are only concerned about completing the academic year successfully. A proposed referendum for students at the University of Papua New Guinea, to boycott classes, is expected to be conducted tomorrow. The referendum did not eventuate today, after the U-P-N-G Administration failed to bring in the PNG Electoral Commission to facilitate the process. This referendum will decide whether the students continue their boycott or return to classes. The Administration will only allow students who are internally registered to present their current registration and ID cards to take part in the vote.